The United Nations has declared that the famine in Eastern Africa is the largest humanitarian crisis since the UN’s inception. Prolonged droughts combined with conflict has created a food shortage that has left at least 16 million people struggling to feed themselves and their families. The drought has made farming impossible and has led to the death of large amounts of livestock. This has caused the displacement of families, because they have to leave their homes in search of food and water. Famine has been officially declared in several countries in Eastern Africa, this is the first time this has happened around the world in six years. In South Sudan alone 100,000 people have already died of starvation, and it is expected by July 5.5 million will suffer from starvation. While in Somalia it is estimated 6.2 million people are desperately in need of aid, 363,000 of them are starving children. People are dying of hunger every day. Not only hunger but disease has begun to spread. Namely, Cholera, from consuming contaminated food and drink, has become rampant in camps for Internally Displaced People (IDP). 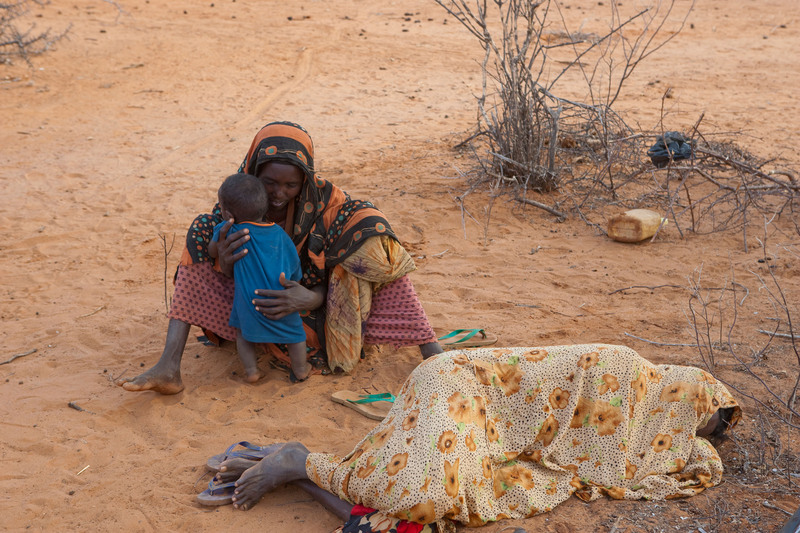 Charities on the ground in Somalia have reported meeting people who have tied rope or sheets around their stomachs in order to quell hunger pains. The brunt of the famine is felt by women, if there is food the priority is to feed children, their husbands, and the elderly. Women are often the last to get food, if there is any left to spare. Forgotten Women plans to deliver emergency aid to women and families most affected by the East African famine. We will be on the ground in five difficult to reach districts in Somalia, Mogadishu, Baida, Kismayo, Puntland and Somaliland. We are in works to gain access to other countries greatly affected by the famine.